Alappuzha (or Alleppey) is a city on the Laccadive Sea in the southern Indian state of Kerala. The district of Alappuzha, also known as Alleppey, is in Kerala. This district headquarters is also known as Alappuzha and is located 70 kilometres south of Cochin. 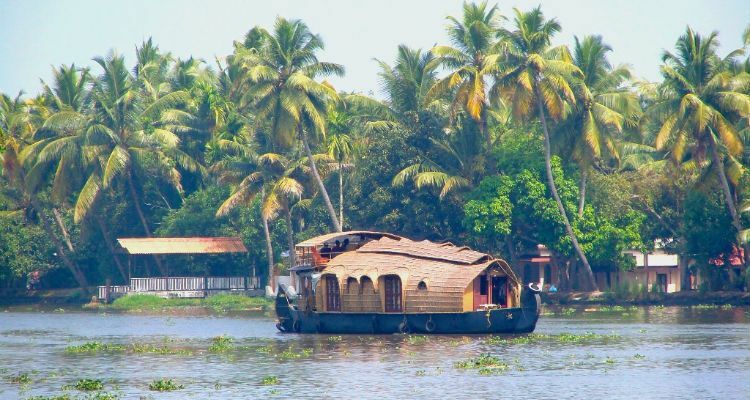 It is often called the Venice of the East due to the canals that connect it to Kerala’s famous snaking backwaters. Alleppey has a wonderful past. Though the present town owes its existence to the sagacious Diwan Raja Kesavadas in the second half of 18th century, district of Alappuzha figures in classical Literature.The best thing about Alappuzha and Kerala in general is the weather. Due to its proximity to the ocean it is more temperate than central India. The temperature rarely goes above 35 degrees Celsius and never below 20 degrees. The best time to visit is from September to March. Monsoon is always heavy.Now a days monsoon tourism is also popular from June to August. Kuttanad: It’s called the rice bowl of Kerala because of her wealth of paddy crops, is at the very heart of the backwaters. The scenic countryside of Kuttanad with its shimmering waterways also has a rich crop of Banana, Cassava and Yam. This is perhaps the only region in the world where farming is done 1.5 to 2 mtr below sea level. Inland waterways which flow above land lever are an amazing feature of this region. Alappuzha (Alleppey) beach: This is one of the most popular picnic spots in Alappuzha (Alleppey). The pier, which extends into the sea here, is over 137 years old. Entertainment facilities at the Vijaya beach park add to the attractions of the beach. There is also an old lighthouse, which is greatly fascinating to visitors. Pathiramanal: According the mythology a Young Brahmin dived into the Vembanad lake to perform his evening ablutions and the water made way for land to rise from below, thus creating the enchanting Island pf Pathiramanal (sands of midnight). This little island on the backwaters is a favourite haunt of hundreds of rare migratory birds from different parts of the world. This island lies between Thaneermukkom and Kumarakom, and is accessible only by boat. Champakulam church: One of the oldest churches in Kerala, the St. Mary’s Church is believed to be one of the seven established by St. Thomas. The annual feast at this church falls on the 3rd Sunday of October every year. Ambalappuzha Sree Krishna Temple (15 km south of Alappuzha):Built in the typical Kerala architectural style, this temple is famous all over India for the Palpayasam, the daily offering of deliciously sweet milk porridge. It is also in this temple that Pallipana is performed by Velans (sorcerers) once every twelve years.